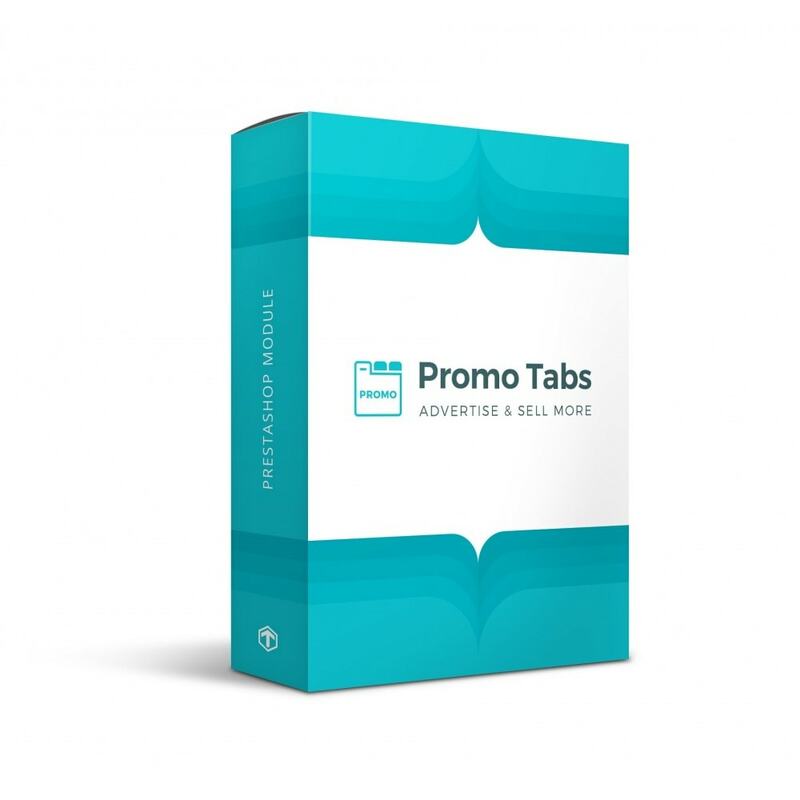 Promo Tabs - Advertise and sell more! This module is designated for fast and easy way of creating advertising blocks on your website. 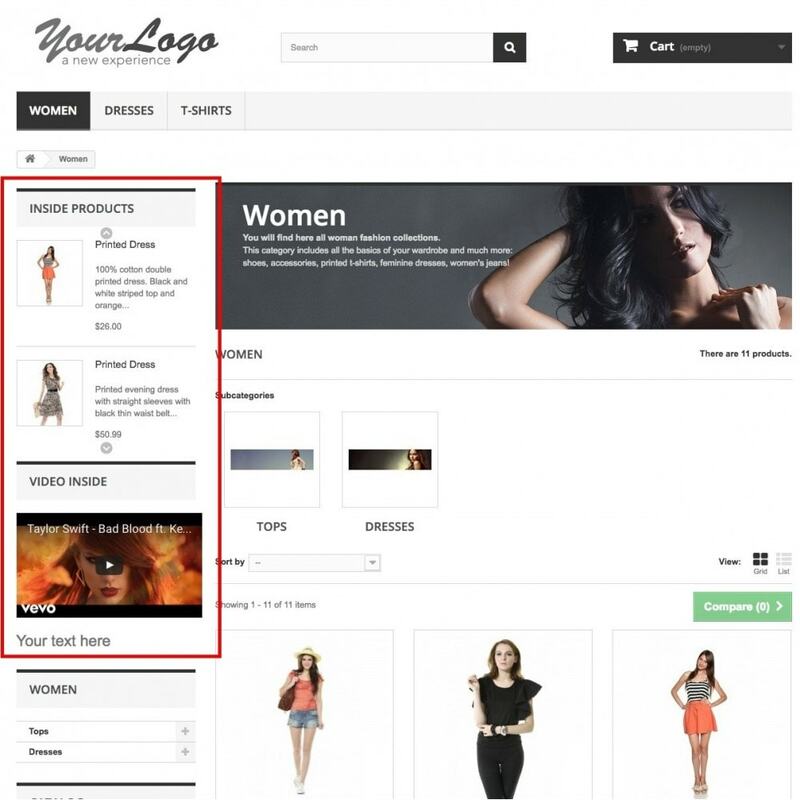 Each advertising block can include: Product list, textual information, image, video and other elements. 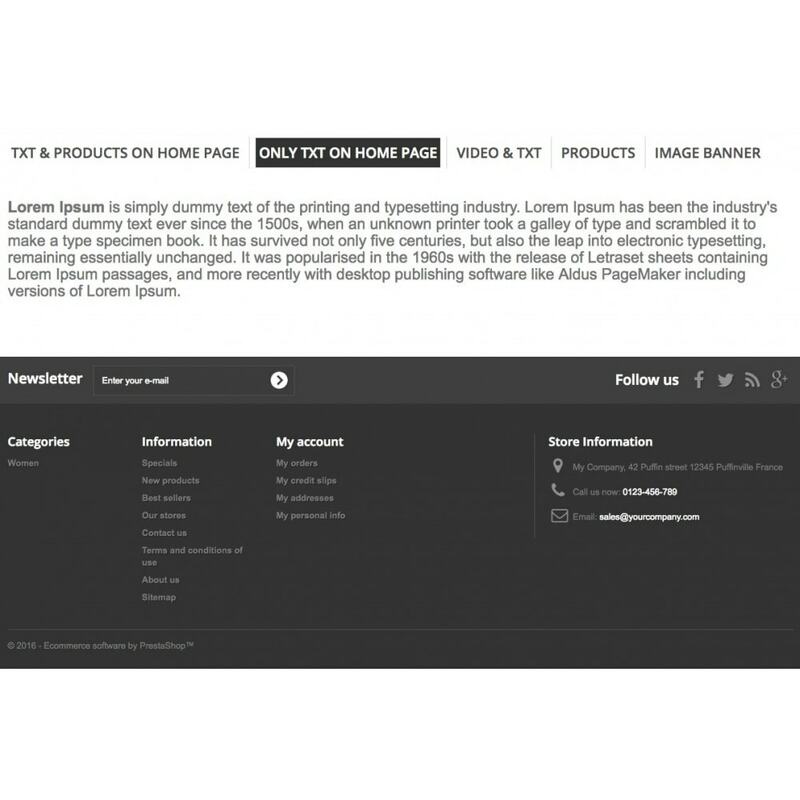 Promotion of desired products via advertising Tabs / Blocks on Home and inside pages. Easy and fast create any types of advertising Tabs / Blocks on website. Add Promo Stickers on product image. 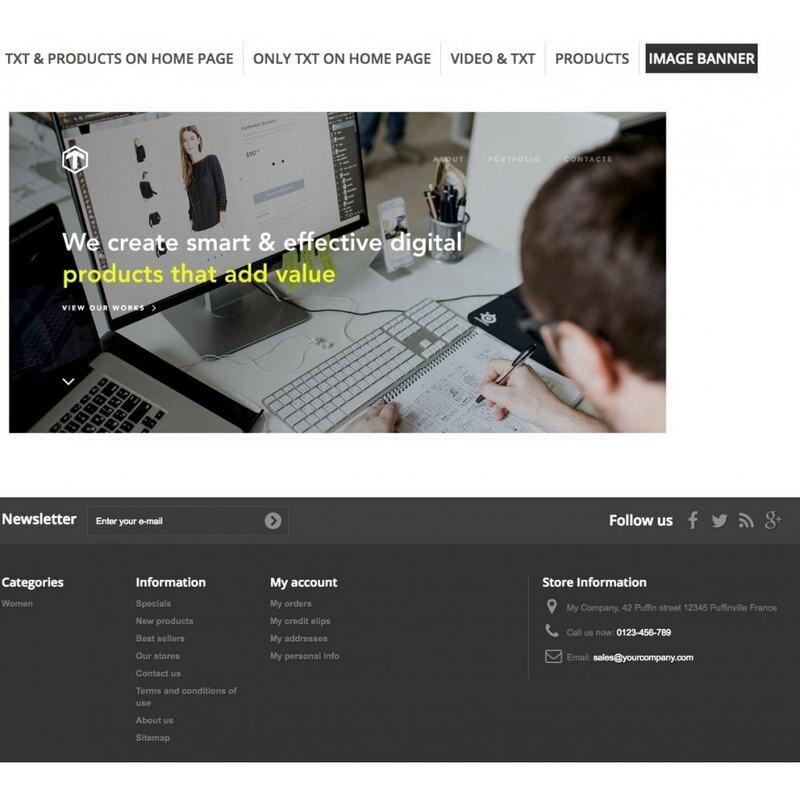 Display of products in form of list or slide show. Convenient setting of Slide show to display necessary products. Settings enabling adaptation to mobile version. Easy management of advertising Tabs / Blocks. Custom title for each Tabs / Blocks. Handy product search to add it in each Tab / Block. A comfortable slider containing products with multiple options. 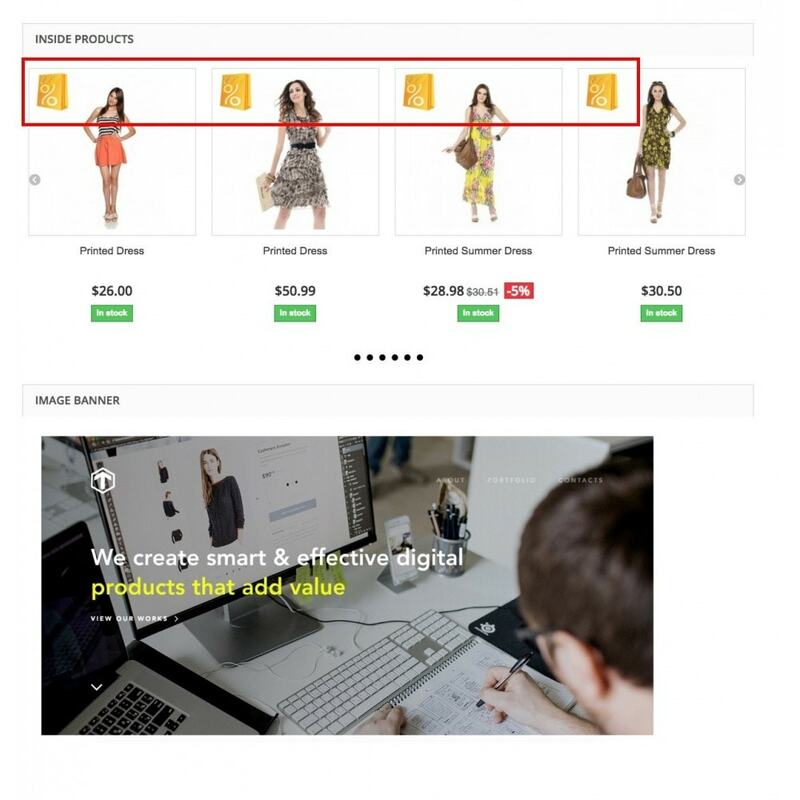 Possibility to set place on the website for Tabs: on homepage, on category page, on product page. Add and manage Stickers on product images. Set order of display items in each block. 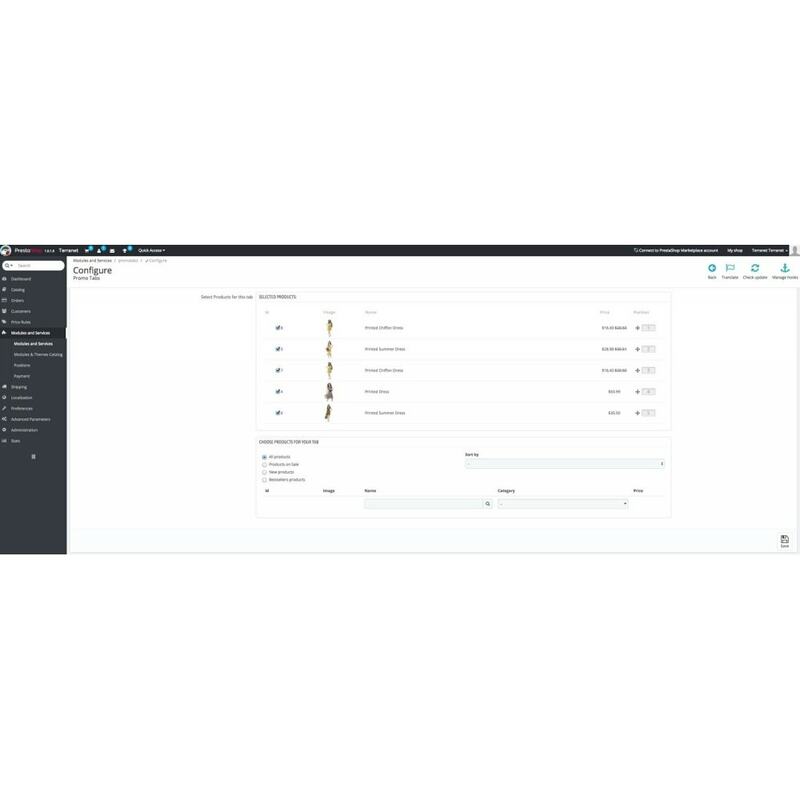 Manage order of products in each Tab / Block. Drag and Drop to change order of advertising Tabs / Blocks by priority. 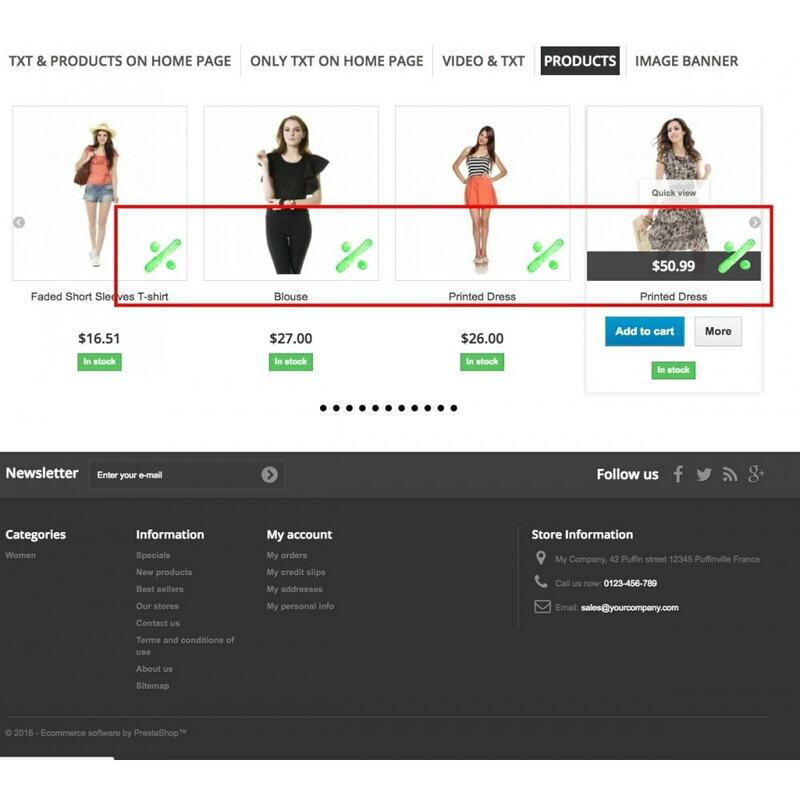 Add discount coupon and "like " box, by products. Allow your customers to get promotion and qualify your product. 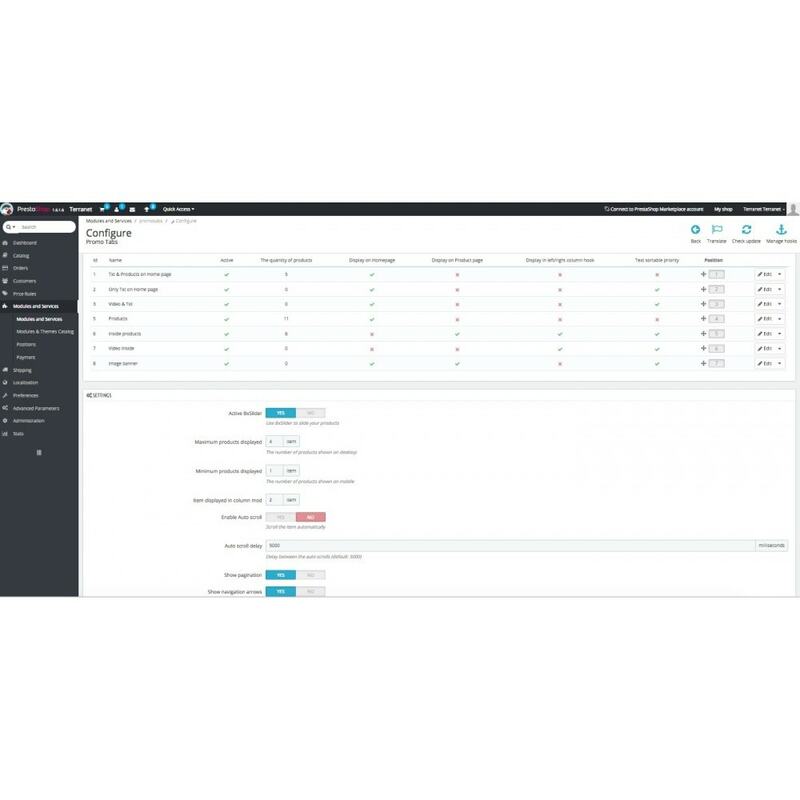 Customer gets in a convenient form information about all the advertising on the website and can make the right choice faster, without wasting a lot of time searching entire website. 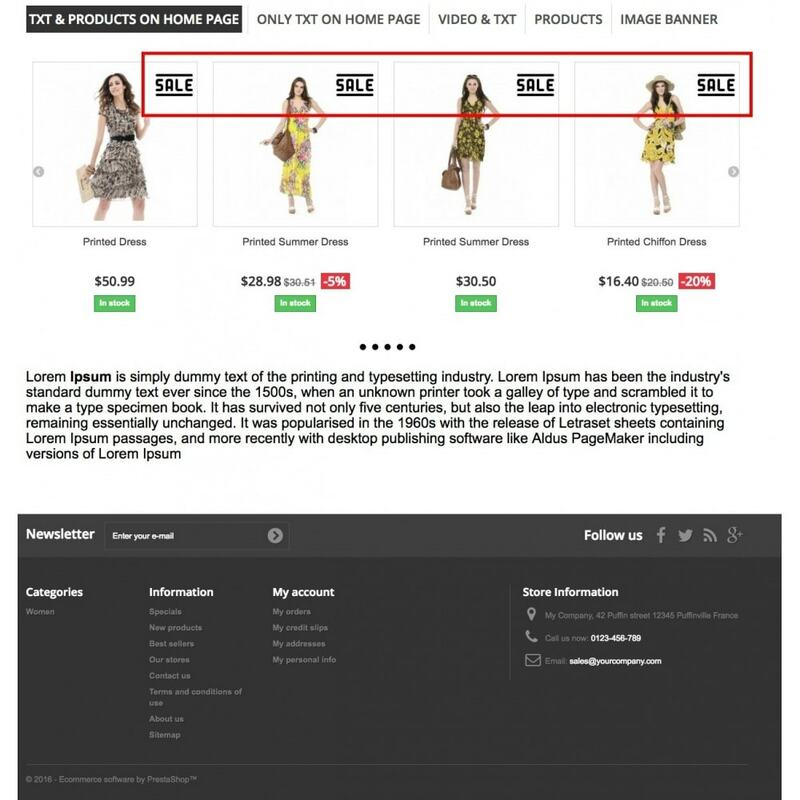 We recommend it to website owners that want to improve their sales using advertising sections. Regular installation. 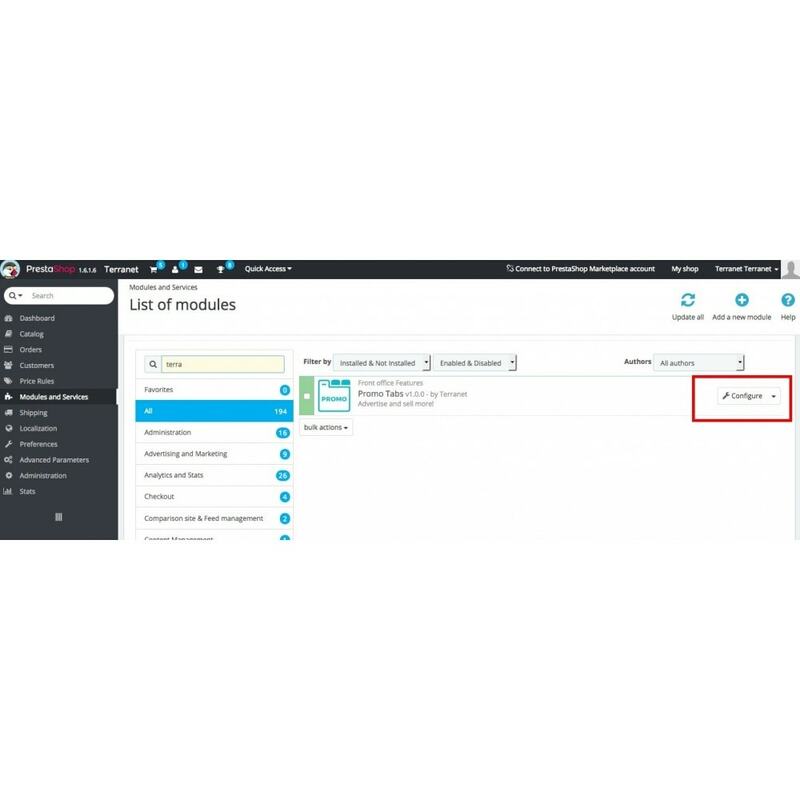 In order to install this module, click first on “Add new module” at modules tab on the back office. You will find it in the right upper corner. After that, click on “Upload file” and select the packaged file you have downloaded from Addons Prestashop. When your module appears in modules list сlick on “Install” next.